Our team answers homeowner questions every weekend on WCCO 830 AM from 9:00 am-10:00 am. Have your most pressing home improvement questions answered by calling 651-989-9226 or texting 81807. Here’s the must-know information our COO, Andy Lindus, shared on 1.1.19. The internet is full of stories about storm chasing contractors failing to complete home improvement projects after taking all of a homeowner’s insurance check. Other stories can be found of rookie roofing or window contractors failing to correctly install a product, leading to its premature failure. If the contractor is no longer in business, a homeowner can have very little recourse because manufacturer’s warranties stipulate that their products must be installed to their exact specifications in order for premature product failure to be covered. 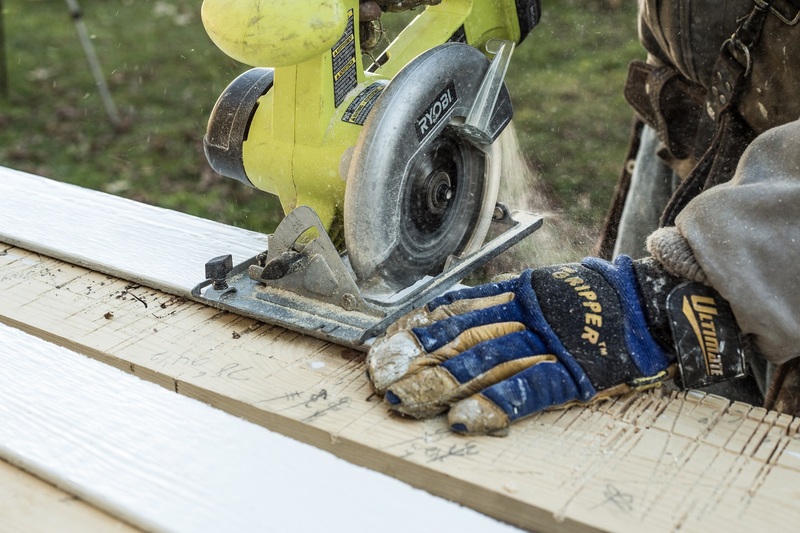 These are just a handful of reasons why hiring a contractor can be an intimidating process. To set yourself up with the highest chance of success, view their past projects, read their online reviews, and speak with their past customers. Be wary of any kitchen or bathroom remodeler without a significant lead time. This is likely due to the fact that their skills are basic at best. While frigid temperatures are an unpleasant fact of Midwestern life, they do present an opportunity for insulation companies in MN to more easily evaluate where homes are using and losing energy. While a variety of diagnostic tools are available, one of the most effective is infrared imaging. When the temperature of a home’s interior varies widely from the exterior, infrared imaging can quickly showcase areas where air infiltration is taking place. A heat map analysis allows a contractor to adequately determine areas where attic air sealing and additional insulation could be used to create a more comfortable home. Beware of any contractor that uses building code as the gold standard for home insulation levels. In reality, building code is the bare minimum level that will pass inspection. The most successful insulation projects are those completed by a contractor that understands that upgraded levels must be completed in tandem with attic air sealing. Areas that often benefit from attic air sealing are false soffits, can lights, and bath fan penetrations. Once these areas are properly sealed, your home’s interior temperature is better regulated, allowing your furnace to run less. The utilization of spray foam insulation creates the most energy efficient home possible because it’s in a class of its own in terms of completely sealing a home, preventing unnecessary air movement, and creating a more structurally sound home. Unlike batt insulation, it does not settle over time, creating cold spots and even ice dams. When spray foam insulation is installed, the home must be evacuated by its occupants so that chemicals in it have time to cure. 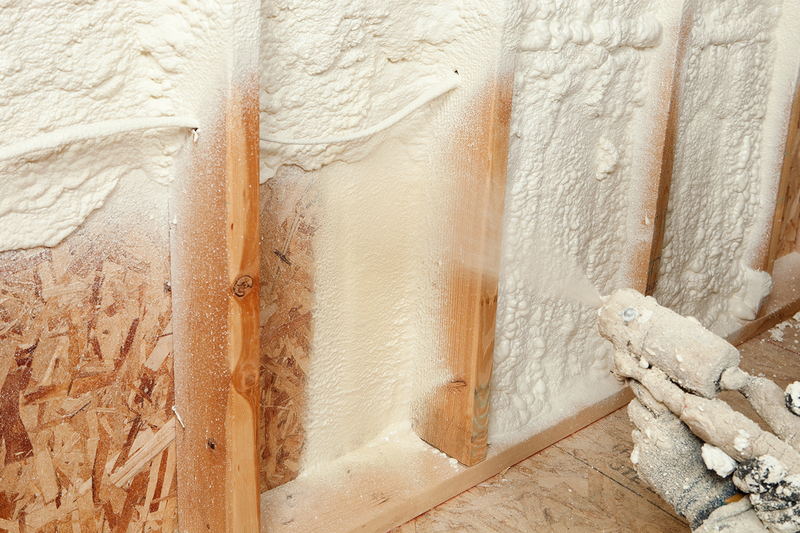 While this may give pause to some homeowners, the components of spray foam insulation are much less harmful than the vermiculite and asbestos that was once prevalent in attic insulation. When disturbed, these chemicals can pose long-term health risks. Another home improvement that can create a more comfortable home is the installation a new front door. The material, style, and color choices can seem endless. However, partnering with a contractor that can assist you with narrowing down your selections to the best fit for your home allows you to have an end result that minimizes air infiltration and adds value to your home. 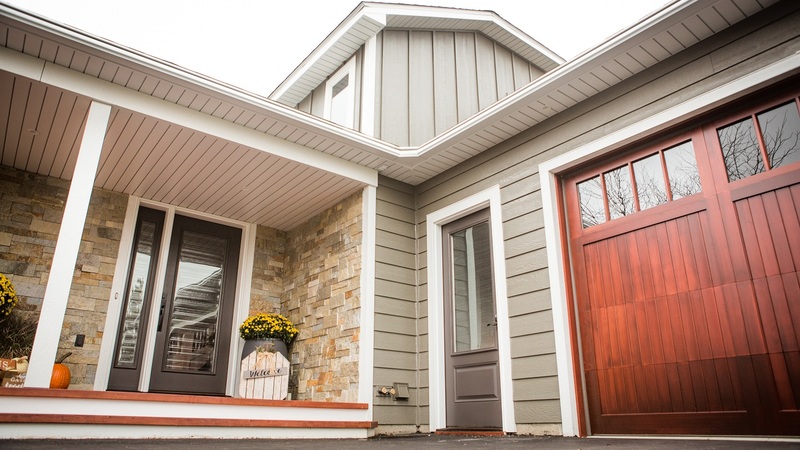 Homeowners are often pleased to hear that front door replacement consistently ranks as a home improvement with one of the highest return on investment. In addition, an energy efficient front door can lower your utility bills. Cement board siding products such as, CertainTeed and James Hardie can prove problematic for an inexperienced siding contractor because of all of the steps necessary to achieve optimum insulation. Cement board siding products are well documented for their ability to fail when high moisture areas delaminate due to faulty installation. Seamless steel and LP® siding installation with a Diamond Kote® finish win high marks with the homeowners we work with. That’s because the materials are manufactured in a way that foregoes the worry of moisture penetration causing premature failure.